Top Yoruba actor, Odunlade Adekola, has said he decided to put a curse on himself because some bad belle people were carrying rumours that he was involved in voodoo to get famous. That the Globacom ambassador has been waxing stronger everyday is unquestionable and it seems some people are still amazed how he was able to get to this height hence, he was rumoured to have been involved in 'Juju' when his death was announced sometimes this year. It's a belief of some sections of Nigerian tribes, most especially the Yoruba race that, when your death is being announced while the person is still alive, it means the person is using diabolical means to achieve something; it now depends on what you want. The actor affirmed that some people actually have such perception about his success. 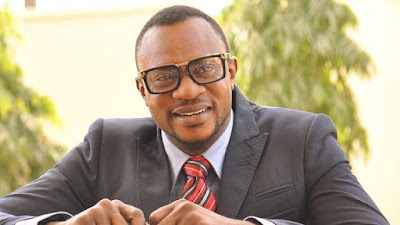 “I never knew I would be successful as an actor; my belief has always been that God should elevate me in my endeavors. I always prayed that God should make me a successful person. “Some people say that I used voodoo or metaphysical powers to be successful. I hear when they say such but I tell everyone that I can never do such. During the graduation of my students last year, I addressed this issue because it was during that time people were peddling rumours of my demise. When the rumour of my death hit town, some people said that I did ‘jazz’ to be successful. That was why during the graduation of my students last year, I said it in public that if I had ever thought of doing ‘jazz’ to succeed God should make me lose everything I had ever worked for." Interestingly, not just a few feel he must have visited a native doctor, who would have performed some sacrifices for him, which automatically boosted Adekola’s career but, he has denied such moves now.